With original features such as art deco ironwork tassels by Basil Ionides and winged Renaissance-style cherubs over the doors, the French Salon is an elegant and atmospheric room in which to hold a business or social event. It also features a striking mural of a dancing couple, uncovered when the room was last refurbished. 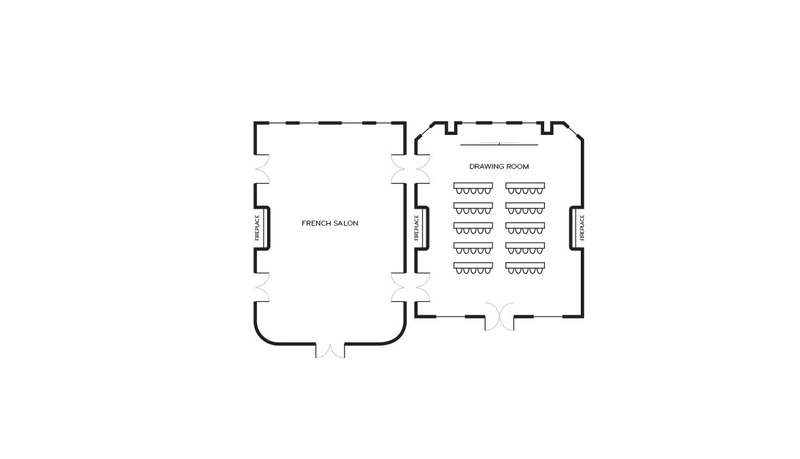 The French Salon can be taken in conjunction with the connecting Drawing Room, to accommodate a greater number of guests.